When I was younger, I absolutely refuse to partake on Cendol. 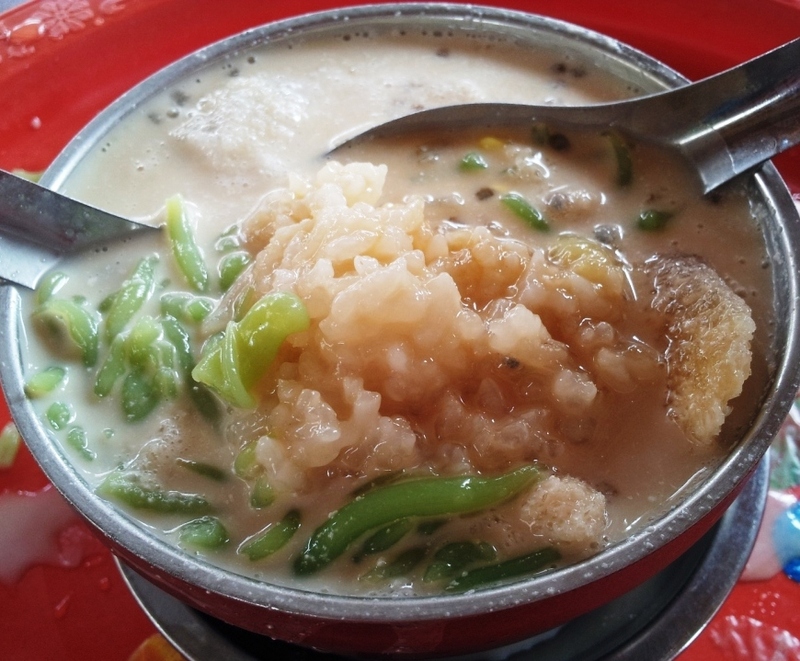 ** Cendol is a local dessert here in Malaysia. Sometimes, we have it as a drink. So, it’s a little weird for my oversea friends to see us having our desserts before our meal. hohoho…In it’s most basic form, it consists of ice shavings drenched with coconut milk and gula melaka / palm sugar with heaps of green noodles. The reason I refuse to take cendol is because of those green noodles, which is basically the ‘main’ ingredient of cendol. Why? They remind me of worms ! hehehe… So, I’ll always have cendol without the green noodle. I know – I’m weird. Thankfully, I’ve outgrown my childish fear. LOL… I do eat them now… but, I usually leave most of them for hubby (never did told him my fear for these green noodles). 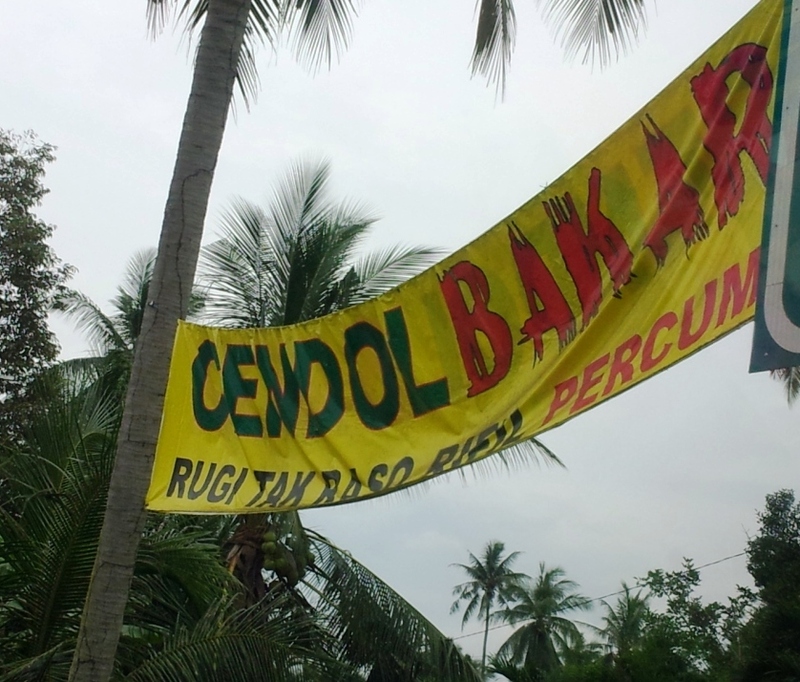 On our drive to Kuala Selangor for seafood, we chance upon this Cendol Bakar signage. We’ve never heard of Cendol Bakar (fired / roast). In fact, it did sound bizzare. How to you roast ice? Hence, we were really curious about it. So, we agreed to make a stop for it on our way back after lunch. Aside from the ‘bakar’, I was also impressed with the implementation of drive-thru concept for this dessert / drink. It’s truly an smart move. 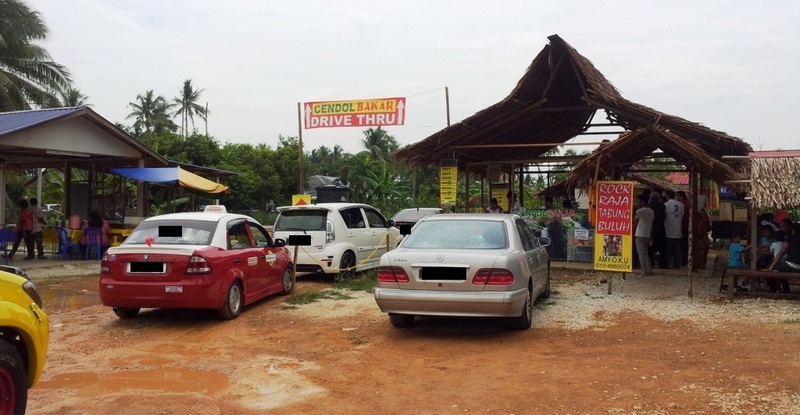 Most people would refuse to get down from their car on a hot day and would rather drive pass this stall (along a main road). By allowing the guest to order from their car and zoom off with this nice cooling drink would be really tempting. So, it’s no surprise this place is packed ! We ordered 3 bowls between the 4 of us. The durian pulut was really good. I don’t really like the one with Tapai (traditional fermented food – sweet and sour alcoholic paste). I guess that is an acquired taste. So, where does the bakar comes in? Supposely, they roast the gula melaka first before melting it into syrup. Once roasted, the gula melaka taste is more intense and pack with flavors. BTW, you can get refill FREE of Charge. 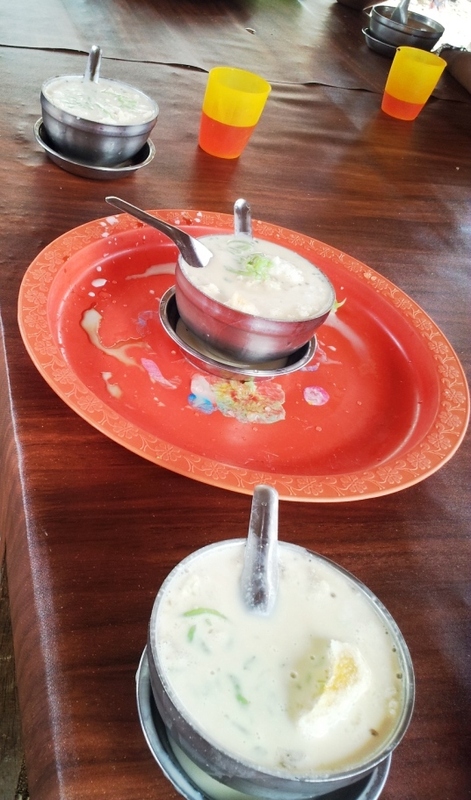 And on top of that, the owner gives out free bowls of Cendol to handicapped and poor folks. Just bring along your JKM card as proof. We applaud the boss for his kindness and decided not to take the free refill offer. Good gestures of the owners! Free refill is also an interesting concept.Not much of a cendol fan. So the hubster normally inherits at least 2/3 of my bowl if I do have my cendol.